As I’ve noted in the past, I’ve been generating a decent amount of freelance income over the past couple of years. After I resigned from my “real” job in 2008, I actually took the plunge and started freelancing as a full-time job. Today I want to talk a bit about how I got everything set up. My first priority was to make sure I was doing everything on the up-and-up. Even though my freelance business was incredibly small (now it’s just small), I registered with my city to get a business license. I also had to fill out some additional paperwork because I was doing business under a name different than my own. Everything was straightforward and painless. Sole proprietorship: A sole proprietorship is the simplest business entity. From a legal standpoint, this sort of business is owned and run by an individual, and there is actually no legal distinction between the individual and the business. Partnerships: A partnership is a type of business entity in which multiple partners own the business and share in the profits and/or losses. There are some potential tax benefits to partnerships over corporations, but the owners of a partnership might be exposed to greater personal liability as they would as shareholders in a corporation. 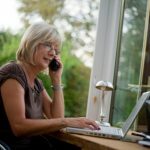 Limited Liability Company: LLCs have been a popular choice for some bloggers and freelance workers because they are very simple to operate while still providing personal liability protection. Corporation: A corporation is an institution that is granted a charter establishing it as a completely separate legal entity from its owners/shareholders. There are multiple types of corporations, each with their own advantages and disadvantages. In most cases, however, forming a corporation is overkill for a freelancer. I ended up sticking with a sole proprietorship. Aside from nailing down the right business structure, it’s important to apply for any necessary city or state business licenses or permits (if applicable). Many municipalities have resources available to point you in the right direction. There are also services like Legal Zoom that you can help take care of the paperwork if you’re not comfortable with this sort of thing. By far my favorite part of my freelance work is getting paid. I’ve set up a business bank account to handle this income. 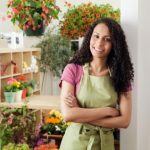 While it’s only me, having a business account can be very helpful for keeping your finances in order, and might actually be required if you wish to maintain the liability protections associate with certain business structures. I also knew I wanted to have a local branch for handling any problems that might come up. I decided to go with Wachovia and opened a free business checking and savings account. I just need a simple account without a bunch of extra features that would add on unnecessary fees. The process of opening my business checking account was fairly easy. I just had to bring in my business paperwork, ID, etc. into the local branch. I opened my savings account a little bit later. I also set up an EFTPS (Electronic Federal Tax Payment System) account to pay my estimated taxes on a quarterly basis. Paying taxes throughout year is important because I want to avoid an underpayment penalty. 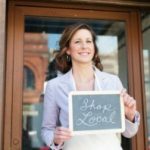 If you’re looking into starting a small business, you should really check out the Small Business Administration’s website. It’s a fantastic resource and can help answer many of your questions. It also pays to check our your local SCORE chapter to receive some valuable information on how you need to expand your small business. I hope that by writing a bit about my freelance business, you can see that it’s possible to have another source of income outside of your day job. Taking control of your finances means more than just cutting expenses, it includes building your income. Have you done anything to build a side income? If so, do you have any tips or tricks to share? Please leave a comment. This was the first useful link I came across in a “Bing” search. The other links were for books on Amazon and I have Clients that want to hire me now. I found both the article and comments very helpful. Thank you so much. I think I will opt for “LLC” and request being taxed as an “S” Corp.
Can I use Microsoft Word and Excel to create and track Invoices for my first three Clients? I want to do my research before spending a lot on Quicken Books Pro or some other such service/software. Thanks for sharing your thoughts about self employment. However, consider this for a moment: a Federation of LLC’s, rather than a mulitple partner LLC. Each member of the federation owns his/her individual LLC and works on a B2B basis with the other individually owned LLCs. There are many advantages to this set-up. When setting up a multiple partner LLC, and establishing business credit, do the lenders look at the credit history for all the partners listed? If so is it advantageous to leave those with lesser credit ratings out initially and add them later AFTER establishing the credit line? 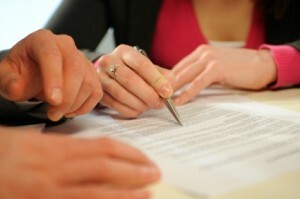 The single-member LLC offers you limited liability should anyone sue you over your business. This is the principal advantage over a sole prop. Nickel is correct on the tax treatment. If you think you will make more than a “reasonable salary” (e.g. you will profit $100K, but a reasonable salary is $50K), then you will be better off taxed as an S Corp. You take your reasonable salary and declare the remainder as a dividend, avoiding Soc. Sec. tax on the dividend. Nickel is correct that an LLC can be taxed as an S Corp. From my perspective, for a business which you work in (as opposed to Real Estate), this is a confusing manuever. Plus, with a corporation, you get the benefit of corporate law – which is much better developed than LLC law. Many accountants recommend LLCs taxed as S Corps so you save an annual filing fee. In my experience, most average folks understand the corporate structure better (board of directors, officers, etc) than the LLC structure (managers, members, managing members) and are less likely to be confused by it. Disclaimer: I am an attorney, but you can’t rely on this for legal or tax purposes. You have made the plunge and you have been very thorough in getting your freelance biz ready. I just made the plunge myself and I found a very cost effective and safe way. I am a client of BOTH. BOTH = Back Of The House – takes care of of my entire back office. I can fully focus on my clients and my gigs as a marketing professional. My accounting, billing, financial reporting is done by a BOTH Personal Advisor. Part of the package is a hosted IT infrastructure, so no more Geek Squads or computer crashes for me! Even healthcare and 401(k) is part of the plan! Sorry, I sound like I am being paid by BOTH. I am not! Check ‘m out. Your life will change. Wow, I was just looking for this information, thanks Laura and Nickel. Thanks Nickel for the information. When I looked into NC’s website for LLCs, there were some additional costs such as an annual report ($200 fee) for the state. I’ll contact SCORE and see if they’ll walk me through the process. I love getting some feedback on handling a business, thanks again! Around here, it costs something like $50 to register an LLC with a similar annual renewal fee. The default tax treatment of a single member LLC is to have all income flow through to the individual return just like with a sole proprietorship. If someone told you that taxes are more complex with a single member LLC over a sole proprietorship, they’re wrong. You can, however, elect S-Corp treatment from the IRS if you wish. Depending on your circumstances and the amount of revenue that you generate, there may be some tax advantages to do so. Bottom line: There’s really no reason not to “upgrade” to a single member LLC. The cost is minimal, the taxes aren’t any more complex unless you choose to make them so, and you limit your personal liability in case someone decides to sue you for some reason. TheDebtHawk: My main reason now for keeping it a sole proprietorship is simplicity and the least expensive to form (and dissolve). Right now my freelance work is very cut and dry. I also run my business with no debt.Taxes are a bit easier too. That’s not to say I’ll stay with sole proprietorship. My husband and I would like to collaborate in the future, so the business structure would definitely change (most likely LLC) when that happens. Laura, I am curious as to how you made your decision to stick with being a sole proprietorship over an LLC?